Archon Books, 1980-01-01. Revised. Hardcover. Used:Good. Archon Books. Hardcover. 0208017666 New Condition. . New. Macmillan, 1980. 258pp. HARDCOVER. Wear/closed tears to d/w. D/w will be repaired where possible & supplied in protective sleeve. Will appear smart when work completed. Immaculate internally. No inscriptions. . Revised Edition. Cloth. Very Good/Fair. Illus. by John Skeaping. 8vo - over 73/4" - 93/4" tall. London : Evans Brothers, 1951 56 Illustrations through the text. 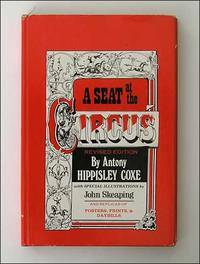 The book is set out in the form of a circus programme from overture to finale and provides descriptions of all known acts as they are seen in the ring, but also of the work and skill and in some cases, the incredible courage of the pefomers.